Today is the day. Finally I get to write a review for Mechanicum, a novel from the Horus Heresy. I've read other Horus Heresy novels such as False Gods, the Flight of the Eisenstein, Fulgrim, A Thousand Sons, Prospero Burns, and I'm looking forward to read Vengeful Spirit but given the bad reviews so far I'm not enthisiastic on splashing out $30 on the book only to be disappointed. I wanted it to read the fall of House Devine because I'm an Imperial Knights fan, but it appears it focuses way too much on Horus and lots of random characters. So...no. I'll be honest, I'm not very fond of the Horus Heresy series. I can't find any novels that doesn't focus on the Space Marines EXCEPT Mechanicum and most likely the assassin novel Nemesis. But I don't really like the assassins either. I enjoyed The Flight of the Eisenstein, but didn't really like False Gods and Fulgrim, the latter especially disgusting me. I did like A Thousand Sons and Prospero Burns, but that's because much like the Grey Knights Omnibus (maybe I'll write a review for Alaric's stories after all), they were about psyke marines and Magnus was awesome. But I didn't really enjoy the Horus Heresy series on the whole, with a few exceptions. Mechanicum is my favorite book in the series and quite possibly the only one other than A Thousand Sons and Prospero Burns that I like. And I like Mechanicum a lot better than those two combined. The Thousand Sons Space Marines novels. And because they were my favorite pre-Heresy chapter, I was riled when the Thousand Sons went over to the dark side...I mean turned to Chaos. Unfortunately, it's all part of Tzeentch's plan and we all know the outcome anyway because of the Warhammer 40K lore. Still, it irked me that the Space Wolves went and killed the Thousand Sons for NO reason (Horus's doing, actually). They were innocent! They were wronged. This brings me to Mechanicum, the only novel in the Horus Heresy series that I truly like and one of the few books that do NOT focus on the Space Marines (good riddance, they were so dry, they were either all honor, valiance and duty to the point they got obnoxious or they were angsty and emo dudes (Fulgrim) that fell into Chaos in pretty...um, weird ways. A statue on a water serpent planet? Come on, Fulgrim. And Montarion?! Why the hell are you on Chaos's side?! Instead , Mechanicum focuses on the titular Mechanicum, one of my favorite factions in Warhammer 40K behind the Imperial Guard, and the setting is on Mars. MARS! How much more awesome can that be? Knowledge is power, and the book opens up with a very impressive opening. The Lord Commander of House Taranis - though he was a brother in the prologue - Verticorda meets the Emperor who promptly heals the irreparable damage in his Knight's leg in a show of divinity. The miraculous display earns the mighty God-Emperor the recognition of the priesthood of Mars, and they begin to worship him as the Omnissiah, beginning the Cult Mechanicus that we all know and love today. And thus begins the cooperation between Terra and Mars that lay the foundation for the military might that the Imperium became. I really like it, and again, it was a Knight and not a damned Space Marine who narrated it! Hell, no Space Marine appears in the entire novel at all! GOOD RIDDANCE! Right off, the cast is likeable. We have the aforementioned Verticorda who exudes honor and wisdom yet reins those in to not make him as obnoxious and Mary Sue-ish like the Space Marines. We have the transcriber, Dalia Cythera, who basically has psychic powers and has visions, leading to the enigmatic but freaking awesome Mistress of Magma City, Koriel Zeth, to recruit her to build the Akashic Record. Sadly, that never came to frution as we all know there was no such thing in the Warhammer 40K universe, but you can tell how talented Dalia is, and what a precocious girl she is. Dalia's ragtag band also appeals to me a lot, all of the normal, common people who worked hard and achieved their positions through their own efforts. We have the blunt, crash but kind-hearted and well-meaning Zouche Chahaya. We have the motherly and experienced Mellicin Oster, who really tugged at my heartstrings. We have the caring Severine Delmer who acts as a good leader, bringing them through the labyrinths and braving danger to reach Dalia's eventual goal safely. And we have the very relatable and gentle Caxton Torgau, whose puppy love for Dalia really reached out to me. Surprisingly, I became very attached to Dalia's band as Graham McNeill develops and elaborates each of their characters and makes use of their strengths and talents throughout their perilous journey across Mars. Last but not least, we have my favorite character out of this bunch, Rho-Mu 31, who is basically a Skitarius but somehow just named Mechanicum Protector. He's a Skitarius, I'm sure of it. He turns out to be an unsung hero and my favorite of the bunch, with his sense of humor and valiance protecting Dalia's group. It says a lot when a supposedly cold, mechanical guy becomes my favorite through his characteristics! But the book is not merely about Dalia and her group. As I said earlier, Koriel Zeth is freaking awesome, and even her ally, Ipluvien Maximal, the Forge Master of Mars, pulled off some cool stuff. I won't spoil it for you, but at the end Koriel Zeth was a BOSS. When I read what she did, I couldn't help but have utmost respect for her, and for Maximal who joined her and did the same. Only thing I can say, we ain't letting Chaos have their way, no matter what! The Knights of House Taranis are no less important. There is Raf Maven, a sturdy and determined Knight who relentlessly pursued his enemy underground, no matter how far it went, and he is accompanied by Leopold Cronus, a loyal friend who followed his brother-in-arms all the way. Verticorda and the other Knights were no less impressive, fighting ferociously in an incredible battle when the inevitable betrayal happened, slaying the enemies from the Dark Mechanicum with great vigor. Similarly, Raf's quest to avenge his defeat and track down the dark, twisted foul metallic creature that wounded him despite everyone insisting it no longer existed was fun to follow, and I could really feel his determination and need to help his almost-sentient suit destroy the formidable foe. I couldn't help but root for House Taranis, and to my joy, I learned more about them and their rise as the foremost and most prominent Knightly house on Mars after the Horus Heresy. They survived (well, of course Raf and Leopold inevitably survived) and became so much stronger, something that made me feel relieved and jubilant in a universe where chaos reigned and somber grim-dark was the norm. In addition, I really enjoyed the Titan combat. The characters of the Titan legion, Legio Tempestus, were present, with Princeps Cavalerio, taking the front. The other Princeps, Sharaq, Basek, Kasim, to name a few, were also extraordinary fighters and I could feel the camaraderie between these men despite the wide distances and heavy armor that separated them from each other. Every Titan battle had me roaring and cheering for them as they darted, flanked, twisted and outwitted the superior enemy with brilliant tactics and sheer will. I was reminded of this when I read Titanicus, and the connection was there, with Legio Tempestus migrating to another world, Orestes. Orestes became their new home after the Horus Heresy, huh. The Titan combat in Mechanicum was on par with that of Titanicus, but admittedly Titanicus does the fighting better. There were more battles, sporadic, with a climatic end where the Titans engaged each other including the presence of an enemy Imperator Titan, plus a lot more excitement and the scale was just amazing. Dan Abnett does the combat better. However, Graham McNeill excels in weaving a plot and developing characters. While I loved the Titan crews in Titanicus, being attached to the growing Guido Prinzhorn and especially liking the loyal Zane Tarse, the other cast and characters in Titanicus were simply lackluster. Cally Samstag, the remnants of her PDF group, and her husband were not as well developed as Dalia and her group, and I wasn't as attached to them as I as to Dalia and Rho-Mu 31. As I said in my review of Titanicus, her group could be easily combined with Erika Varco's, who made for a more compelling mission almost but not quite on par with Dalia. Manfred Zember? Utterly pointless. The retired Princeps in a garden? Er....okay. Forgettable. On the other hand, almost the entire cast of Mechanicum were likeable, relatable and extremely relevant, receiving great care and progessive development. None of them felt unnecessary and I grew attached to every group. The plots are also different. Dan Abnett opted for a simpler plot to focus more on Titan-versus-Titan combat, which was a good choice, but his tying in of an attempt by Magos Tolemy to take power by revealing the truth about the Emperor was clumsy at best and I didn't like the politics in there. However, in Mechanicum, this is where the plot and politics shine. Somehow McNeill succeeds in enthralling me with the conspiracies, secret deals, forging of dark alliances among the priesthood of Mars, with Fabricator General Kelbor-Hal and Fabricator Locum Kane (and more) sealing a pact with Horus in an attempt to split Mars from the Imperium and no longer be subservient to Terra. In addtion, they found the idea of being free to research whatever they want and indulge in darker technologies appealing (I would find it appealing too). Their reasons for joining Horus were a lot more convincing that some of the Primarchs. Fulgrim? Montarion? Even Magnus, I don't get his sudden reversal and he just spirited all the Thousand Sons away like that. What the hell, and he was so determined to not fight against the Space Wolves before...his 180 degree turn was abrupt and inexplainable. The difference in writers is clear here. I very much preferred A Thousand Sons to Prospero Burns, because Graham McNeill makes the Thousand Sons a lot more sympathetic and human, better than the other Space Marines anyway. At least they're not so much about honor and duty or killing the foe. They have their quirks, they are about learning and I like learning. There were quite a few mysteries here and there. On the other hand, Dan Abnett lays a smackdown between the ferocious Space Wolves and the sorcerous Thousand Sons with not much regard to characterization or developing a plot. As I said, Graham McNeill is superior in terms of weaving a plot together, developing characters and making them likeable. I can already tell from reading Knights of the Imperium, but actually I read Mechanicum before Knights of the Imperium so...never mind. On the other hand, Dan Abnett is great at brutal, awesome and large-scaled combat. Well, Mechanicum also has great, massive-scaled combat at the end when all the Titans marched out, but somehow I liked Dan Abnett's Tarses and Prinzhorn more. 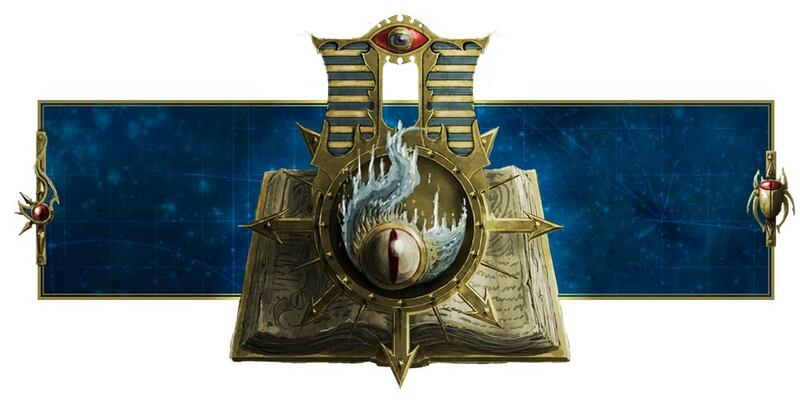 Actually, I like the whole of Legio Invincta just as I like the whole of Legio Tempestus in Mechanicum. And the Knights! Don't forget Maven, Cronus, Vedacorda and the esteemed House Taranis! 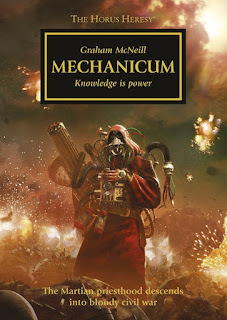 Yes, Mechanicum is an awesome read and I would highly recommend it to anyone. In terms of storytelling, it is superior to Titanicus, but Titanicus has its own strengths and I already gave it my utmost recommendation in its own review. However, Mechanicum possesses more than epic Titan battles. It has Knights, compelling and likeable characters, sinister machinations and politics, dark secrets about the Void Dragon and a great plot. It gets two thumbs-up from me, and I urge anyone who is even a fan of the Warhammer 40K to read it. It is that awesome.